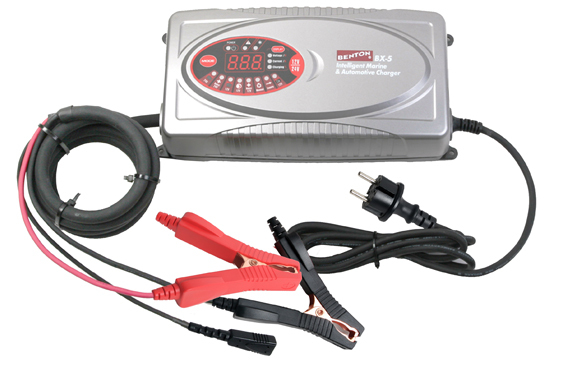 BENTON BX-5 is a smart, 9-step fully automatic switch mode battery charger and maintainer, designed for charging a variety of 12V & 24V lead-acid and 12V lead-calcium rechargeable batteries, widely used in boats, cars, trucks, excavators, tractors and wheel loader. The batteries may be of various types i.e. WET/Flooded, GEL, AGM, MF, VRLA, Lead-Calcium batteries capacity from 50-500Ah (12V) and 25-250Ah (24V); Lead-Calcium batteries 25-100Ahh (12V). The BX-5 also charges batteries in cold conditions, recovers slightly sulfated batteries and rescues drained battery. It provides trickle charge and maintenance charging which increase battery life and gives superb performance. A versatile BX-5 smart battery charger comes with Boost charges, Maintenance, Power Supply, Silent Night charges and memory function. The 20655 deluxe clamps & Anderson Connector works with BENTON BX-5 battery chargers and allows the battery chargers to connect quickly between different batteries. .. 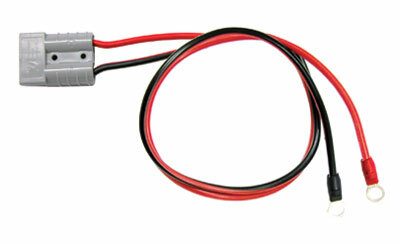 The 20656 Eyelets Cord with Anderson Connector works with BENTON BX-5 battery chargers. It can be used for permanent attachment to the battery posts to allow quick connection/disconnection through snap-connector.